Established in 1983, the Blood and Marrow Transplantation Center at Children’s Hospital Los Angeles is the largest comprehensive BMT program in the nation for children with cancer and blood diseases. The center is led by internationally recognized physicians who perform autologous and allogeneic related and unrelated donor marrow, cord blood and peripheral blood progenitor cell transplants. The physicians perform transplants for lympho/hematological diseases, genetic diseases, immune deficiencies, metabolic diseases, and for the treatment of solid tumors. The dedicated Blood and Marrow Transplantation Team provides diagnosis and medical management of patients with diseases treatable by stem cell transplantation (SCT), including all aspects of pre- and post-transplant care. The Blood and Bone Marrow Transplant Center offers innovative clinical trials, such as trials in cell therapy with CAR T-cells and NK-cells. These clinic trials offer our patients the latest, most innovative treatment options. BMT Center is FACT accredited since 2002 and performs more than 75 transplants per year. The BMT Center is part of the largest pediatric hematology and oncology program and largest pediatric cancer center in the western United States. Non-malignant disease centers of excellence—we have centers of excellence with key expertise for immune deficiency, marrow failure, hemoglobin disorders (sickle cell, thalassemia), and inborn errors of metabolism (mucopolysaccaridoises, leukodystrophies). The Blood and Marrow Transplantation Fellowship is a training program for clinical investigators. Graduates become experts in the field of pediatric blood and marrow transplantation. They acquire further expertise in multidisciplinary diagnostic and treatment approaches for patients and in the coordination of their care with the rest of the health care team and medical system. During their fellowship they conduct clinical research in pediatric blood and marrow transplantation. For more information about our Fellowship in Blood and Marrow Transplantation, please click here. 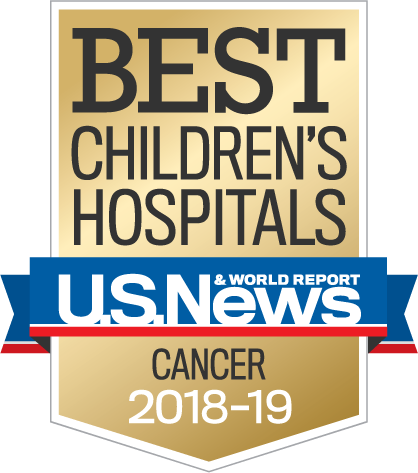 The Children’s Center for Cancer and Blood Diseases at CHLA is home to more major, multicenter clinical trials and research consortia than any other pediatric cancer program in the country. We offer the largest portfolio of pediatric, adolescent, and young adult clinical trials in the Western United States, including several cutting-edge Phase 1, Phase 2 and Phase 3 clinical trials. Please click here to see our Clinical Trials.